Respondents were representatives of consultants, contractors and other areas. Besides, the survey was available online to collect responses from people who are interested in the study in Viet Nam and other countries. The questionnaires were distributed via email, online forum and private website from August 4 to August 20, 2010. There are two forms of questionnaires, they are full and short forms. The full questionnaires (PDF file) were sent via email to selected respondents, the short ones were posted online on the private website http://ibsttools.page.tl/CADsurvey.htm and online forums related to CAD management: Viet Nam: www.cadviet.com, giaxaydung.vn, www.ketcau.com; International: www.cadtutor.net by David Watson who teaches Digital Design at the University of Greenwich,UK; forums.augi.com by Autodesk User Group International, USA. Free version of SurveyMonkey (www.surveymonkey.com) was applied for the short form questionnaires. The questionnaires were in English and Vietnamese. Respondents worked for multiple scale companies that 44% had more than 2 branches. This would be helpful to the study because these companies need to exchange CAD data, thus, the needs for a CAD model would be gauged more accurately. The target groups are designers who involved CAD standards and management the most. Architects and structural engineers accounted for 78% of all respondents. Respondents worked for varying companies that consultancies accounted for 51% of all companies; the others were project management, construction management and administration. It can be concluded that the respondents would provide meaningful information for the study. A significant amount of users applied their own CAD standards, around 40%. Even most companies had CAD standards but effectiveness of CAD standards varied among offices. 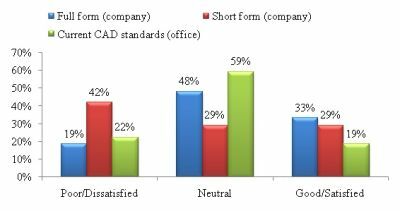 60% of CAD standards came into effect at office level, whereas, 24% were effective at company level. Personal CAD standards of 16% indicated that many respondents did not follow consistent CAD standards or the companies they worked for did not have CAD standards. 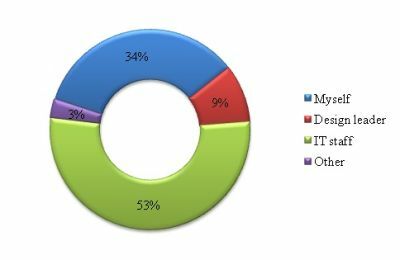 Most respondents considered functions of a CAD manager were: CAD training (39%), CAD drawing check (30%) and CAD software (20%). They all had high expectation of a CAD manager in terms of CAD skills and computer skills. Respondents agreed or expected political power of a CAD manager should be group leader or design leader. In the short form of questionnaires, most people likely accepted power of a CAD manager equalled to a line manager. 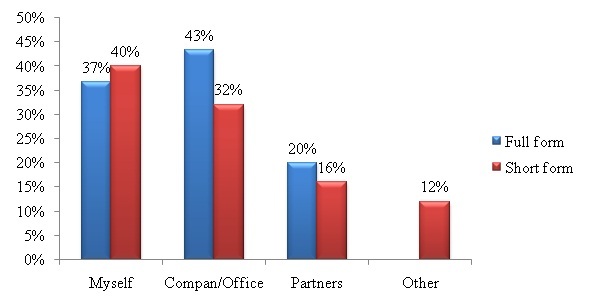 However, 24% of respondent stated that their companies did not need CAD managers. One respondent stated that “it will depend on the size of the company, but even if, there is not a CAD manager, it can be reach very standards of quality”. It means that most people tend to separate functions of a CAD manager to incorporate to other staffs. Needs for CAD managers were clearer when considered personnel. 10 out of 11 respondents worked for companies which had more than 200 people answered “Yes” to the needs for a CAD manager, the only one respondent hesitated that whether the CAD manager was qualified enough to cover both technical and managerial responsibilities. A majority of people (around 59%) learnt using CAD software by their own, whereas, about 15% learnt from company training. Regarding training, a poll performed by Kiker (2010) found that about 50% of voters got training about 6 months to 3 years ago. 78% of respondents wanted more CAD training. 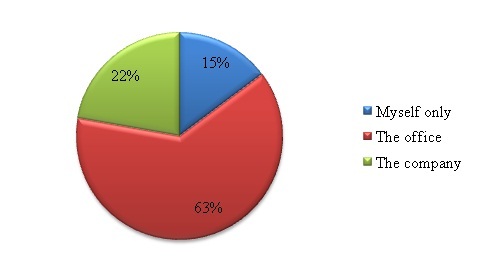 Noticeably, AutoCad were the most popular CAD software, 85% of respondents used it. Effectiveness of CAD models were evaluated through users’ perspective. Beside how users learnt to use CAD software, other everyday issues that users faced were software problems, drawing check and reusing CAD drawings. When users encountered software problems, 53% would find support from IT staffs and 34% were able to solve themselves. Drawing check was carried out mostly by “Myself only – about 36%”, “design leader – about 34%” and “line manager – about 24%”. 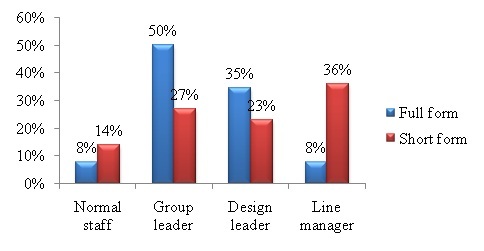 Most users expected the CAD manager was group leader and/or design leader. About 36% of respondents checked their drawings by their own mean that effectiveness of CAD standards is low. This is because users have to check and fix CAD drawing to conform with CAD standards. AutoCad is the most popular CAD software but its check/fix feature is still complicated. Without a good CAD model, users are difficult to check/fix conformance of CAD drawings. Over 20% of respondents had difficulties in reusing others’ CAD drawings. About 50% answered “Neutral” and about 25% had no difficulties in reusing CAD drawings. Finally, the study measured satisfaction level of users regarding both at company and office level. Most opinions were “Neutral”, number of people satisfied and dissatisfied were nearly the same, around 30%. 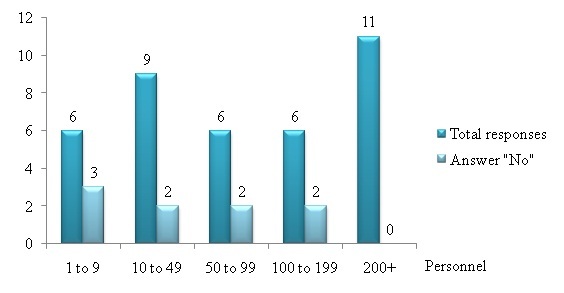 This figure means that current application of CAD models still need more improvement to fulfil users’ requirements.